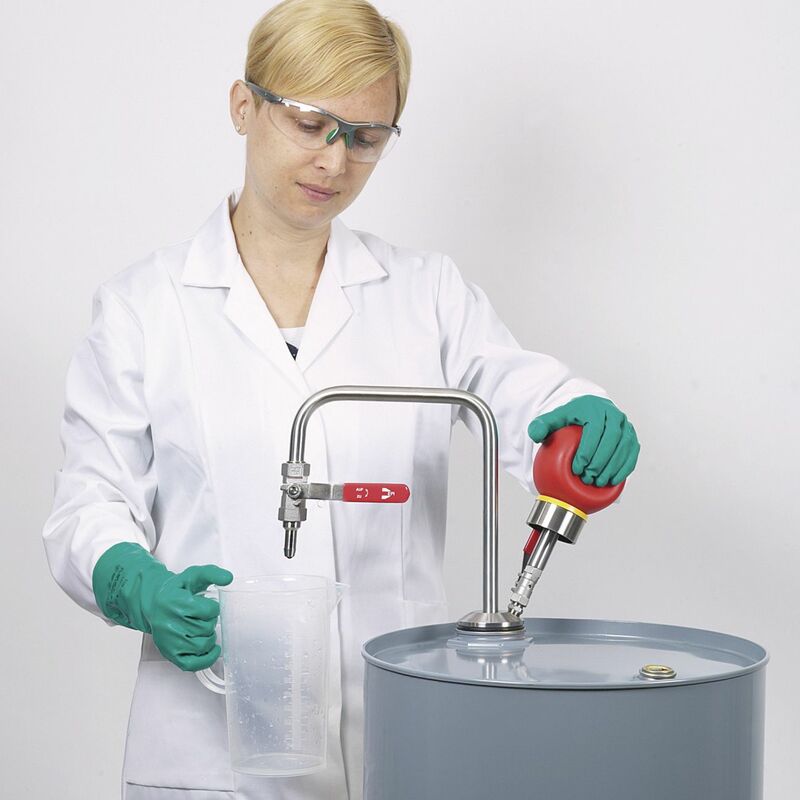 The solvent pump engineered by Burkle, is a hand operated barrel pump, suitable for the withdrawal of organic solvents and flavoring components. 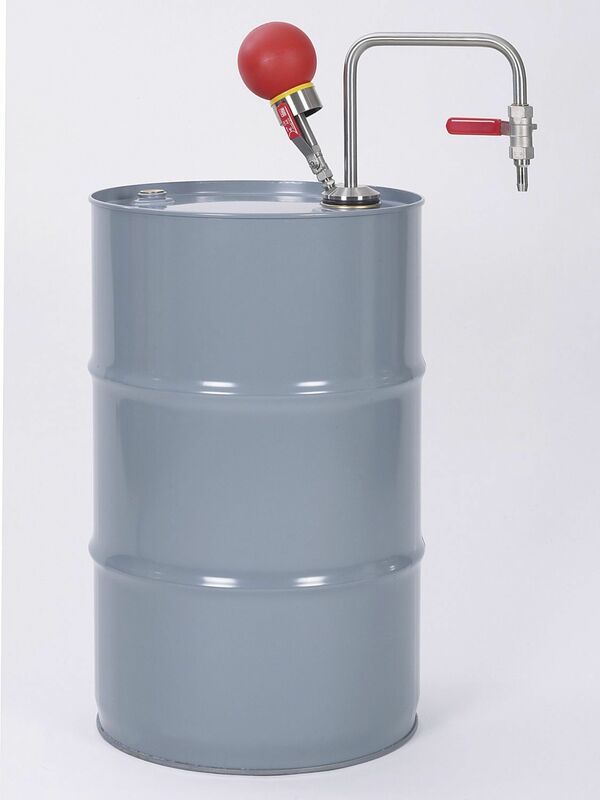 This device features a gas tight construction that is capable of holding a capacity up to 60 L. This pump can also be close completely through the dual ball valves. 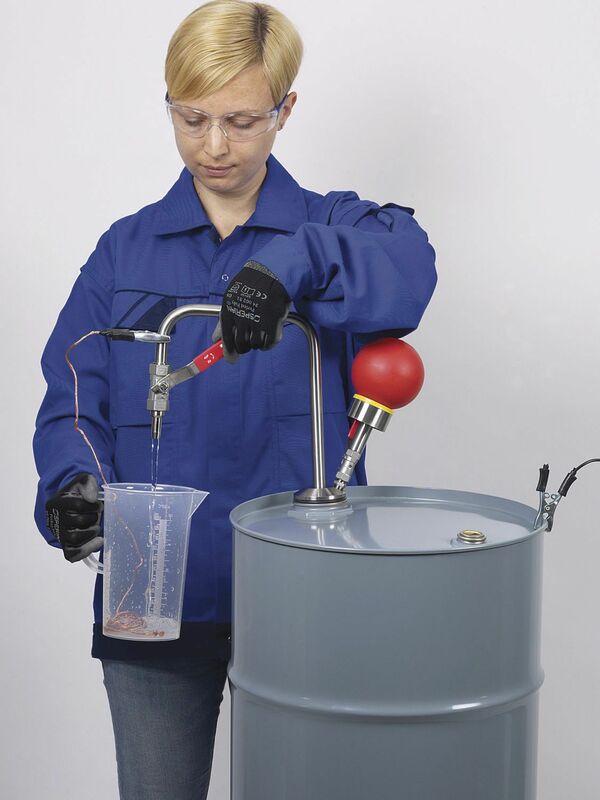 Furthermore, this apparatus is equipped with a stainless steel or FKM parts coming in contact with the medium.